We need to know each other, so let’s meet! 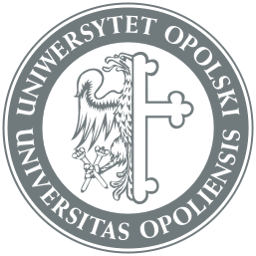 | Hello Uni Opole! We would like to invite you all to the event prepared by students of the Polish Studies Programme, at the Univeristy of Opole. 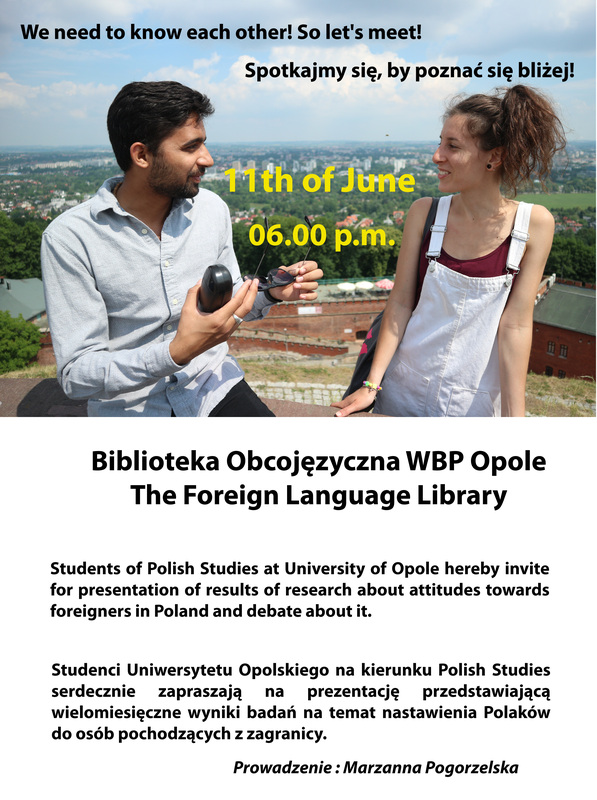 The event will take place on June 11, 2018 at 6 p.m. at the Opole Foreign Language Library (34 Kośnego str) . During the event: “We need to know each other, so let’s meet!” our students will present the results of their research project, hold a debate on the Opole citizen’s attitude towards the foreginers, and talk about overcoming stereotypes. The project has been prepared under the guidance of Dr. Marzanna Pogorzelska. The event is supported by the Erasmus+ Programme.